Bu çalışmanın amacı, Matsuoka (2001)tarafından geliştirilen Taraftar Psikolojik Bağlılık Ölçeğinin (TPBÖ) Türkçe formunun geçerlik ve güvenirliğini incelemektir. Çalışma 2016-2017 öğretim yılında Nevşehir Hacı Bektaş Veli üniversitesinde öğrenim gören 462 üniversite öğrencisi üzerinde yürütülmüştür. Ölçeğin geçerliği için doğrulayıcı faktör analizi, güvenirliği için cronbach Alpha iç tutarlık katsayısı hesaplanmıştır. Ölçeğin yapı geçerliği için uygulanan doğrulayıcı faktör analizinde altı boyutlu (kişisel kimlik, duygusal bağlılık, kaynak maliyeti, Psikolojik maliyet, sosyal zorunluluk ve bölgesel bağlılık) ve 30 maddeden oluşan modelin iyi uyum verdiği görülmüştür (x²= 933,737, sd= 390, RMSEA= .055, CFI= .908, TLI= .898, SRMR=.055). Ölçeğin iç tutarlılık güvenirlik katsayıları kişisel kimlik alt ölçeği için .86, duygusal bağlılık alt ölçeği için .84 , kaynak maliyeti alt ölçeği için .78, psikolojik maliyet alt ölçeği için .89, sosyal zorunluluk alt ölçeği için .81, bölgesel bağlılık alt ölçeği için .87 ve ölçeğin bütünü için .93 olarak bulunmuştur. Ölçeğin düzeltilmiş madde toplam korelasyon katsayıları .33 ile .69 arasında sıralanmaktadır. Bu bulgulara göre Taraftar Psikolojik Bağlılık Ölçeği’nin Türkçe formunun geçerli ve güvenilir bir ölçme aracı olduğu söylenebilir. The aim of this study is to examine the validity and reliability of the Turkish version of the Fan Psychological Commitment Scale (FPCS) developed by Matsuoka (2001). The study was carried out on 462 university students in Nevşehir Hacı Bektaş Veli University during 2016-2017 academic year. For the validity of the scale, confirmatory factor analysis and for the reliability, cronbach Alpha internal consistency coefficients were calculated. The model which has six dimensions (personal identity, emotional commitment, resource cost, psychological cost, social necessity and regional commitment) and 30 items has been seen to fit well with the confirmatory factor analysis for construct validity of the scale (x² = 933,737, sd = 390, RMSEA = .055, CFI = .908, TLI = .898, SRMR = .055). Internal consistency reliability coefficients of the scale were .86 for the personal identity subscale; .84 for the emotional commitment subscale; .78 for the resource cost subscale; .89 for the psychological cost subscale; .81 for the social necessity subscale; .87 for the regional commitment subscale and .93 for the whole scale. Corrected item total correlation coefficients of the scale ranged from .33 to .69. According to these findings, it can be said that the Turkish form of the Fan Psychological Commitment Scale is a valid and reliable measurement tool. Adrian, I.D. (2015). Sport Consumer Behavior. Sport & Society, Special issue, 160-174. Backman, S.J. ve Crompton, J.L (1991). The usefulness of selected variables for predicting activity loyalty. Leisure Sciences, 13, 205-220. Bee, C. C. ve Havitz, M. E. (2010). Exploring the relationship between involvement, fan attraction, psychological commitment and behavioural loyalty in a sports spectator context. International Journal of Sports Marketing & Sponsorship, January, 140-157. Branscombe, N. R., ve Wann, D. L. (1991). The positive social and self-concept consequences of sports team identification. Journal of Sport and Social Issues, 15, 115- 127. Fishbein, M. ve Ajzen, I. (1973). Attitudes toward objects as predictors of single and multiple behavioral criteria. Psychological Review, 81(1), 59-74. Fisher, R. J., ve Wakefield, K. (1998). Factors leading to group identification: A field study of winners and losers. Psychology & Marketing, 15(1), 23-40. Harada, M., ve Matsuoka, H. (1999). The influence of new team entry upon brand switching in the J-League. Sport Marketing Quarterly, 8(3), 21-30. James, J. D. (1997). Becoming a sport fan: Understanding cognitive development and socialization in the development of fan loyalty. Unpublished doctoral dissertation, The Ohio State University, Columbus, OH. Kazançoğlu, İ. ve Baybars, M. (2016). Lisanslı spor ürünlerinin algılanan değer bileşenlerinin satın alma niyeti ile ilişkisi: Türkiye’nin en büyük üç futbol kulübünün incelenmesi. 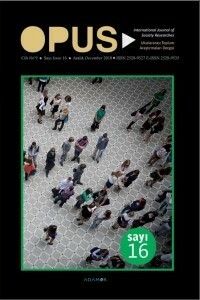 Doğuş Üniversitesi Dergisi, 17 (1), 51-66. Laverie, D. A., ve Arnett, D. B. (2000). Factors affecting fen attendance: The influence of identity salience and satisfaction. Journal of Leisure Research, 32, 225-246. Madrigal, R. (1995). Cognitive and affective determinants of fan satisfaction with sporting event attendance. Journal of Leisure Research, 27, 205-227. Mahony, D. F. (1995). The effect of personality variable of self-monitoring on individual loyalty to professional football teams. Unpublished doctoral dissertation, The Ohio State University, Columbus, OH. Mahony, D. F., Madrigal, R., ve Howard, D. (2000). Developing the psychological commitment to team (PCT) scale to segment sport consumers based on loyalty. Sport Marketing Quarterly. 9(1). 15-25. Mahony, D. F., ve Moorman, A. M. (1999). The impact of fan attitudes on intentions to watch professional basketball teams on television. Sport Management Review, 2(1), 43-66. Mowen, J. C. ve Minor, M. (1997). Consumer behavior (5th ed.). Upper Saddle River, NJ: Prentice Hall. Murrell, A. J., ve Dietz, B. (1992). Fan support of sport teams: The effect of a common group identity. Journal of Sport & Exercise Psychology,14, 28-39. Oliver, R.L, (1997). Satisfaction: A Behavioral Perspective on the Consumer. New York: Irwin/McGraw-Hill. Pride, W. M., ve Ferrell, O. C. (1997). Marketing (10th ed.). Boston, MA: Houghton Mifflin Company. Sudhahar J.C., Israel D, Britto A.P. ve Selvam M. (2006). Service loyalty measurement scale: A reliability assessment. American Journal of Applied Sciences, 3(4), 1814-1818. Sutton, W. A., McDonald, M. A., Milne, G. R., ve Cimperman, J. (1997). Creating and fostering fan identification in professional sports. Sport Marketing Quarterly, 6(1), 15-22. Taştan, Ş. (2009). Futbol taraftarlığı ve şiddet olgusu farklı taraftar gruplarında şiddet eğilimleri üzerine karşılaştırılmalı sosyolojik bir araştırma. Yayımlanmamış Yüksek Lisans Tezi, Mersin Üniversitesi, Sağlık Bilimleri Üniversitesi, Mersin. Wakefield, K. L. (1995). The pervasive effects of social influence on sporting event attendance. Journal of Sport and Social Issues, 19(41), 335-351. Wakefield, K. L., ve Sloan, H. J. (1995). The effects of team loyalty and selected stadium factors on spectator attendance. Journal of Sport Management, 9, 153-172. Wann, D. L., ve Branscombe, N. R_ (1990). Die-hard and fair-weather fans: Effects of identification on BIRGing and CORFing tendencies. Journal of Sport and Social Issues, 14, 103-117.